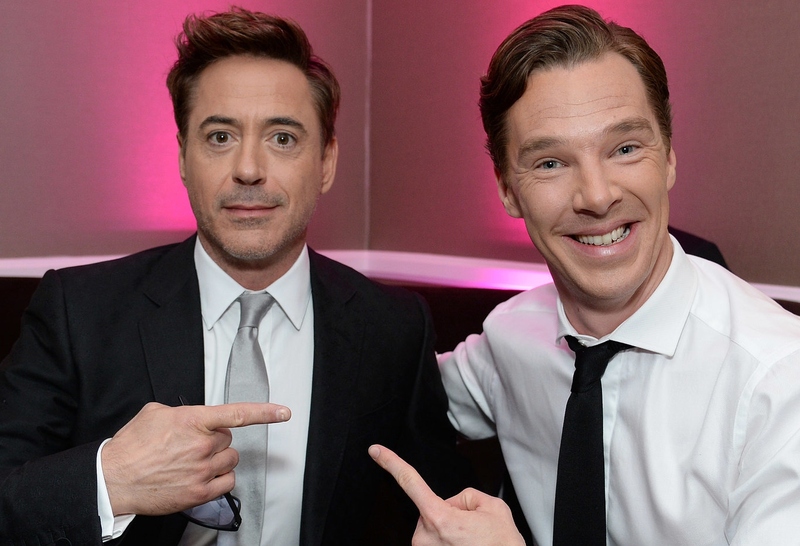 LONDON – Robert Downey Jr and Benedict Cumberbatch will co-star in a Xmas Special edition of Sherlock for the BBC, written by Steven Moffat and directed by Guy Ritchie. We’re absolutely stoked about this opportunity. Benedict Cumberbatch and Robert Downey Jr. have given audiences an amazing pair of Sherlocks, entirely different, but entirely convincing and to see them together in an adventure is almost too exciting for words. My cerebral and witty script will be complemented by Mr. Guy Ritchie’s high octane, and slightly nonsensical action direction. How will you explain the presence of two Sherlocks in the same world? That’s relatively easy. It’s no secret that I also have had a hand in the new Doctor Who. Well, I’ve decided to move both the Sherlocks into the Doctor Who universe. In fact, there is a reveal that explains how it is that Sherlocks are so clever. What I’m saying is what if the Sherlocks actually had access to a machine that allowed them to travel in time and were also able to regenerate. Sherlock Holmes is a Time Lord? Not only a Time Lord. Why not THE Time Lord? Doctor Sherlock Holmes will be broadcast on Christmas Day. April Fools jokes early this year. If, and only if, this is not a farce, this would top the current Series 8 of Doctor Who, inbeing the worst idea Moffat or anyone else has come up with in…well, forever! Just tell me it ain’t so…! I actually think this is a terrible idea.Leave them separate. It becomes then about celebrity and not story. What makes Benedict’s Sherlock so appealing is that his Sherlock persona is very different than the actor himself. RDJ is very much himself in his version. I don’t want to see RDJ in this.I love him ,but not the idea of him in this. Let Benedict shine as Sherlock. We love Benedict’s Sherlock and just want more of him. End of story. Ugh – I appreciate the joke, but in reality please keep Robert’s amazing Sherlock Holmes FAR AWAY from the Lizard King’s ridiculous version. Seriously, Moffat needs to step away from the Holmes.